Come on out and check out our great selection at our Green Acres Greenhouses! Grown with our all natural special blend, our plants are sure to out-perform! Interested in sprucing up your yard? Contact us today and we will be glad to provide our landscape design expertise to help bring your oasis to life. Whether it be our annual Spring Cleaning routine or our affordable lawn maintenance there isn’t a job too small for Green Acres. Give us a call today for a free quote! 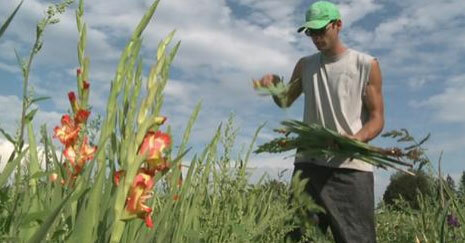 Check out our Gladiolas segment on the local CTV News Regional Contact! With over a decade of experience within the interlocking stone industry we will provide you with professional, quality workmanship from start to finish.